^ While discussing the "striking" fact that "we don't have any Roman records, of any kind, that attest to the existence of Jesus," Ehrman dismisses claims that this means Jesus never existed, saying, "He certainly existed, as virtually every competent scholar of antiquity, Christian or non-Christian, agrees, based on clear and certain evidence." ^ Robert M. Price, a former fundamentalist apologist turned atheist who says the existence of Jesus cannot be ruled out, but is less probable than non-existence, agrees that his perspective runs against the views of the majority of scholars. ^ Michael Grant (a classicist) states that "In recent years, 'no serious scholar has ventured to postulate the non historicity of Jesus, or at any rate very few, and they have not succeeded in disposing of the much stronger, indeed very abundant, evidence to the contrary." ^ "There are those who argue that Jesus is a figment of the Church’s imagination, that there never was a Jesus at all. I have to say that I do not know any respectable critical scholar who says that any more." 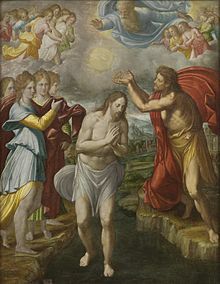 ^ Of "baptism and crucifixion", these "two facts in the life of Jesus command almost universal assent". ^ "That he was crucified is as sure as anything historical can ever be, since both Josephus and Tacitus ... agree with the Christian accounts on at least that basic fact." 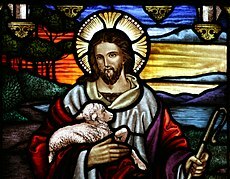 ^ "[F]arfetched theories that Jesus' existence was a Christian invention are highly implausible." ^ Robert E. Van Voorst, referring to G.A. Wells: "The nonhistoricity thesis has always been controversial, and it has consistently failed to convince scholars of many disciplines and religious creeds... Biblical scholars and classical historians now regard it as effectively refuted". ^ William J. Hamblin, professor of history at Brigham Young University. ^ E. Meyers & J. Strange, Archaeology, the Rabbis, & Early Christianity Nashville: Abingdon, 1981; Article “Nazareth” in the Anchor Bible Dictionary. ^ Blomberg, Craig L. The Historical Reliability of the Gospels. InterVarsity Press. 2007. ISBN 9780830828074. ^ Carrier, Richard Lane. On the Historicity of Jesus: Why we might Have Reason for Doubt. Sheffield Phoenix Press. 2014. ISBN 9781909697355. ^ Fox, Robin Lane. The Classical World: An Epic History from Homer to Hadrian. Basic Books. 2005: 48. ISBN 978-0465024971. ^ Dickson, John. 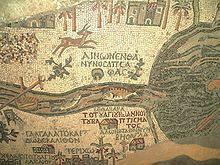 Best of 2012: The irreligious assault on the historicity of Jesus. Abc.net.au. [17 June 2014]. ^ Bart D. Ehrman. Forged: Writing in the Name of God--Why the Bible's Authors Are Not Who We Think They Are. HarperCollins. 22 March 2011: 285. ISBN 978-0-06-207863-6. ^ James Douglas Grant Dunn. The Historical Jesus: Five Views. SPCK Publishing. 1 February 2010: 61. ISBN 978-0-281-06329-1. ^ Michael Grant. Jesus. Orion. January 2004: 200. ISBN 978-1-898799-88-7. ^ Richard A. Burridge; Graham Gould. Jesus Now and Then. William B. Eerdmans Publishing Company. 2004: 34. ISBN 978-0-8028-0977-3. ^ James D. G. Dunn. Jesus Remembered. Wm. B. Eerdmans Publishing. 2003: 339. ISBN 978-0-8028-3931-2. ^ John Dominic Crossan. Jesus: A Revolutionary Biography. HarperCollins. 1994: 45. ISBN 978-0-06-061662-5. ^ 16.0 16.1 16.2 Mark Allan Powell. Jesus as a Figure in History: How Modern Historians View the Man from Galilee. Westminster John Knox Press. 1998. ISBN 978-0-664-25703-3. ^ Markus Bockmuehl. The Cambridge Companion to Jesus. Cambridge University Press. 8 November 2001: 123–124. ISBN 978-0-521-79678-1. ^ Mark Allan Powell. Jesus as a Figure in History: How Modern Historians View the Man from Galilee. Westminster John Knox Press. 1998: 168. ISBN 978-0-664-25703-3. ^ James L. Houlden. Jesus in History, Thought, and Culture: Entries A - J.. ABC-CLIO. 2003. ISBN 978-1-57607-856-3. ^ Robert E. Van Voorst. Jesus Outside the New Testament: An Introduction to the Ancient Evidence. Wm. B. Eerdmans Publishing. 2000: 14. ISBN 978-0-8028-4368-5. ^ Amy-Jill Levine; Dale C. Allison Jr.; John Dominic Crossan. The Historical Jesus in Context. Princeton University Press. 16 October 2006: 1–2. ISBN 0-691-00992-9. ^ Bart D. Ehrman. Jesus: Apocalyptic Prophet of the New Millennium. Oxford University Press. 1999: ix–xi. ISBN 978-0-19-512473-6. ^ James D. G. Dunn. Jesus Remembered. Wm. B. Eerdmans Publishing. 2003: 125–127. ISBN 978-0-8028-3931-2. ^ Theissen, Gerd; Merz, Annette. The Historical Jesus. Minneapolis MN: Fortress Press. 1996: 17–62. ISBN 978-0-8006-3122-2. ^ Bruce David Chilton; Craig Alan Evans. Studying the Historical Jesus: Evaluations of the State of Current Research. BRILL. 1998: 460–470. ISBN 90-04-11142-5. ^ P.E. Easterling, E. J. Kenney (general editors), The Cambridge History of Latin Literature, p. 892 (Cambridge University Press, 1982, reprinted 1996). ^ Eddy, Paul; Boyd, Gregory (2007). ^ Theissen, Gerd; Merz, Annette. The historical Jesus: a comprehensive guide. Minneapolis: Fortress Press. 1998: 83. ISBN 978-0-8006-3122-2. ^ Martin, Michael. The Case Against Christianity. : 50–51. ^ Weaver, Walter P. The Historical Jesus in the Twentieth Century: 1900-1950. A&C Black. 1999-07-01. ISBN 9781563382802 （英语）. ^ Hotema, Hilton. Secret of Regeneration. Health Research Books. 1998. ISBN 9780787304294 （英语）. ^ France, RT. Evidence for Jesus (Jesus Library). Trafalgar Square Publishing. 1986: 19–20. ISBN 0-340-38172-8. ^ Ehrman, Bart. 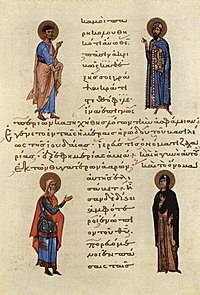 Who wrote the Bible and Why it Matters. HuffingtonPost.com. [21 November 2016]. ^ Charles H. Talbert, What Is a Gospel? ^ “The Historical Figure of Jesus," Sanders, E.P., Penguin Books: London, 1995, p. 3. ^ Fire of Mercy, Heart of the Word (Vol. ^ Grant, Robert M. A Historical Introduction to the New Testament (Harper and Row, 1963). Religion-Online.org. （原始内容存档于2010-06-21）. ^ James G. D. Dunn, Jesus Remembered, (Eerdmans, 2003) pp. 779–781. ^ Bruce M. Metzger's Textual Commentary on the Greek New Testament: Luke 24:51 is missing in some important early witnesses, Acts 1 varies between the Alexandrian and Western versions. ^ Mark Allan Powell (editor), The New Testament Today, p. 50 (Westminster John Knox Press, 1999). ^ Stanley E. Porter (editor), Handbook to Exegesis of the New Testament, p. 68 (Leiden, 1997). ^ Green, Joel B. Dictionary of Jesus and the Gospels 2nd. IVP Academic. 2013: 541. ISBN 978-0830824564. ^ Bart D. Ehrman: Misquoting Jesus – The Story Behind Who Changed the Bible and Why, p. 90 (review). ^ Paul Rhodes Eddy & Gregory A. Boyd, The Jesus Legend:A Case for the Historical Reliability of the Synoptic Jesus Tradition. (2008, Baker Academic).309-262. ^ The Gospel of Matthew claims, the title Nazarene for Jesus was derived from the prophecy "He will be called a Nazorean" (Matthew 2:22–23), despite the lack of any Old Testament source. ^ Jesus Remembered by James D. G. Dunn 2003 ISBN 0-8028-3931-2 p. 339 states of baptism and crucifixion that these "two facts in the life of Jesus command almost universal assent". ^ Crossan, John Dominic. Jesus: A Revolutionary Biography. HarperOne. 1995: 145. ISBN 0-06-061662-8. That he was crucified is as sure as anything historical can ever be, since both Josephus and Tacitus ... agree with the Christian accounts on at least that basic fact. ^ Amy-Jill Levine; Dale C. Allison Jr.; John Dominic Crossan. The Historical Jesus in Context. Princeton University Press. 16 October 2006: 4. ISBN 0-691-00992-9. ^ Eisenmann, Robert, (2001), "James the Brother of Jesus: The Key to Unlocking the Secrets of Early Christianity and the Dead Sea Scrolls"
^ Kostenberger, Andreas J.; Kellum, L. Scott; Quarles, Charles L. (2009). ^ John P. Meier "Criteria: How do we decide what comes from Jesus?" in The Historical Jesus in Recent Research by James D. G. Dunn and Scot McKnight (15 Jul 2006) ISBN 1575061007 p. 124 "Since in the quest for the historical Jesus almost anything is possible, the function of the criteria is to pass from the merely possible to the really probable, to inspect various probabilities, and to decide which candidate is most probable. ^ Amy-Jill Levine in the The Historical Jesus in Context edited by Amy-Jill Levine et al. 2006 Princeton University Press ISBN 978-0-691-00992-6 p. 1: "no single picture of Jesus has convinced all, or even most scholars"
^ Robert E. Van Voorst. Jesus Outside the New Testament: An Introduction to the Ancient Evidence. Wm. B. Eerdmans Publishing. 2000. ISBN 978-0-8028-4368-5. ^ James D. G. Dunn (1974) Paul's understanding of the death of Jesus in Reconciliation and Hope. ^ Encyclopedia of theology: a concise Sacramentum mundi by Karl Rahner 2004 ISBN 0-86012-006-6 pp. 730–731: "The few non-Christian sources [e.g. ^ Ehrman, Bart D. Did Jesus Exist?. The Huffington Post. March 20, 2012. ^ Lataster, Raphael. Afterword by Richard Carrier. Jesus Did Not Exist: A Debate Among Atheists. November 12, 2015: 418. ISBN 1514814420. [T]here is no independent evidence of Jesus’s existence outside the New Testament. All external evidence for his existence, even if it were fully authentic (though much of it isn’t), cannot be shown to be independent of the Gospels, or Christian informants relying on the Gospels. None of it can be shown to independently corroborate the Gospels as to the historicity of Jesus. Not one single item of evidence. Regardless of why no independent evidence survives (it does not matter the reason), no such evidence survives. ^ Lataster, Raphael. Weighing up the evidence for the ‘Historical Jesus’. The Conversation (website). December 14, 2014. There are no existing eyewitness or contemporary accounts of Jesus. All we have are later descriptions of Jesus’ life events by non-eyewitnesses, most of whom are obviously biased. ^ Thomas L. Thompson; Thomas S. Verenna. 'Is This Not the Carpenter? ': The Question of the Historicity of the Figure of Jesus. Acumen Publishing, Limited. 2013. ISBN 978-1-84465-729-2. ^ Bart Ehrman, Did Jesus Exist? ^ Carrier, Richard. On the Historicity of Jesus: Why We Might Have Reason for Doubt. Sheffield Phoenix Press Limited. 2014: 52. ISBN 978-1-909697-49-2. [T]he basic thesis of every competent mythologist, then and now, has always been that Jesus was originally a god just like any other god (properly speaking, a demigod in pagan terms; an archangel in Jewish terms; in either sense, a deity), who was later historicized. ^ Schweitzer, Albert. Out of My Life and Thought: An Autobiography. Henry Holt and Company. 7 October 2014: 133. ISBN 978-1-4668-8294-2. In the autumn of 1912, when l was already busy shopping and packing for Lambaréné, I undertook to integrate into The Quest of the Historical Jesus material from the new books that had in the meantime appeared on the subject and to rewrite sections that no longer satisfied me. I especially wanted to explain late Jewish eschatology more thoroughly and to discuss the works of John M. Robertson, William Benjamin Smith, James George Frazer, Arthur Drews, and others, who contested the historical existence of Jesus. ^ Wood, Herbert George. Christianity and the nature of history. University Press. 1934: 40. [T]he sociological fashion reflected in the rise of Formgeschichte lends colour to Christ-myth theories and indeed to all theories which regard Jesus as an historical but insignificant figure. ^ A. C. COTTER, S.J. ALFRED LOISY (1857-1940). Theological Studies: A brief survey of Loisy's life and work (PDF). America Press. [Loisy] came out with a vigorous attack on Couchoud's mythical theory in Histoire et mythe à propos de Jésus-Christ (1938). To Loisy's credit be it said that, to the end of his days, he maintained Jesus' historical existence against all mythmakers. ^ Holding, James Patrick. Shattering the Christ Myth. Xulon Press. June 2008: 16. ISBN 978-1-60647-271-2. On George Albert Wells: "For his first book The Jesus of the Early Christians (1971), Wells took advantage of his fluency in German to read the radical work of Drews, Bauer and others. He had access to all the books that had never been translated into English. The result was a restatement of the early-twentieth century argument that used pagan parallels and interpolation as its main planks. The book was released by a trade publisher and received critical reviews in some academic journals. None of his later works received the same sort of attention." ^ Beilby, James K.; Eddy, Paul Rhodes. The Historical Jesus: Five Views. InterVarsity Press. 4 January 2010: 15. ISBN 978-0-8308-7853-6. One of the most influential figures of the “old” quest is David Friedrich Strauss (大卫·施特劳斯). His book The Life of Jesus Critically Examined, originally published in 1835, became one of the most controversial studies of Jesus ever written. ^ А. В. Андреев. Дискуссия об историчности Иисуса Христа в советском религиоведении (PDF). Вестник ПСТГУ. 2015 [12 June 2015] （俄语）. ^ Гололоб Г. Богословие и национальный вопрос. Библиотека Гумер. [12 June 2015] （俄语）. ^ Did Jesus Exist?. The Bible and Interpretation. [2017-11-15]. ^ Carrier, Richard. Amherst Conference. January 10, 2009. ^ Dr. Richard Carrier. Questioning the Historicity of Jesus. Brandon Vogt. [6 April 2016]. The hypothesis that Jesus never really existed has started to gain more credibility in the expert community. Some now agree historicity agnosticism is warranted, including Arthur Droge (professor of early Christianity at UCSD), Kurt Noll (associate professor of religion at Brandon University), and Thomas Thompson (renowned professor of theology, emeritus, at the University of Copenhagen). Others are even more certain historicity is doubtful, including Thomas Brodie (director emeritus of the Dominican Biblical Centre at the University of Limerick, Ireland), Robert Price (who has two Ph.D.’s from Drew University, in theology and New Testament studies), and myself (I have a Ph.D. in ancient history from Columbia University and have several peer reviewed articles on the subject). Still others, like Philip Davies (professor of biblical studies, emeritus, at the University of Sheffield), disagree with the hypothesis but admit it is respectable enough to deserve consideration.